For many in the Napa wine industry life began in the 1970’s. You had the Judgment of Paris, which essentially put Napa Valley on the map in the world’s perspective but at the same time, you had many lesser-known pioneers who were forging their way to make their statement in wine. One family that moved into the area were Koerner and Joan Rombauer. Relocating to St. Helena in 1972 and by 1976 they became partners in Conn Creek Winery. 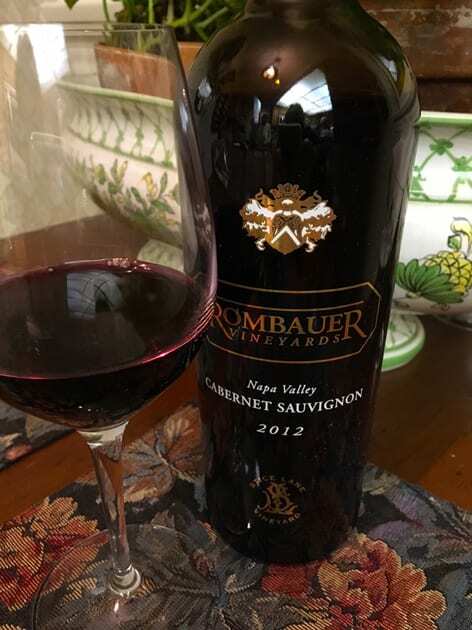 It was in 1980 after determining he was adept in running a winery, Koerner decided to sell his interest in the winery he helped establish and start his own winery using his 40-acre parcel to develop what is now known as Rombauer Vineyards. 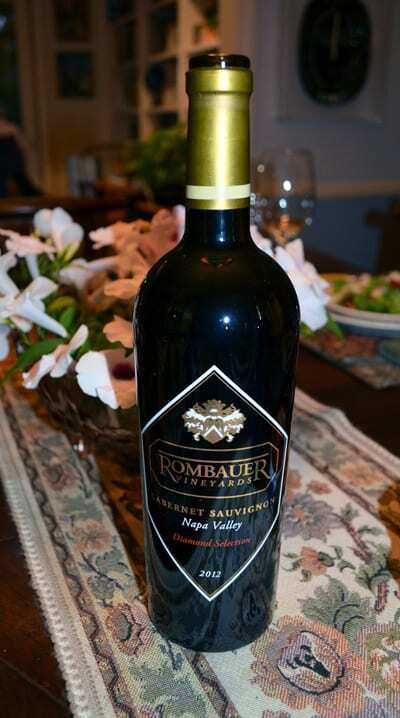 Today Rombauer owns 350 acres of estate vineyards. The vineyards are located in St. Helena, Carneros, Atlas Peak, Calistoga and the Sierra Foothills. The vineyards are sustainable, and those located in the Napa region are either Napa Green/Fish Friendly Farming Certified or in the process of being certified. Winemaker Richie Allen is at the helm overseeing both viticulture and winemaking. Graduating with a degree in molecular biology, followed by studying enology at the University of Adelaide and getting most of his practical experience in Australia and New Zealand, Richie started as an intern in 2004 at Rombauer. By 2005 this Australian native became Assistant Winemaker and in 2008 moved up the ladder to winemaker. 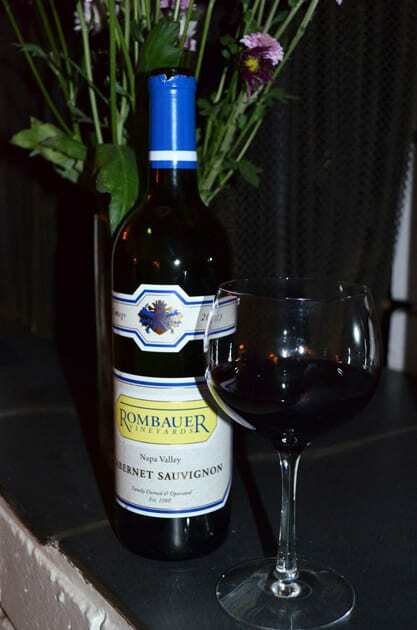 Over the years Rombauer was most known for the Chardonnays, but they produce other wines and are focusing on elevating their red wine program. Besides Chardonnay Rombauer produces Cabernet Sauvignon, Merlot, Zinfandel, a Bordeaux Blend called Le Meilleur du Chai, which means the best of the cellar and three dessert wines. New to the line up is Sauvignon Blanc, which was introduced in 2014. 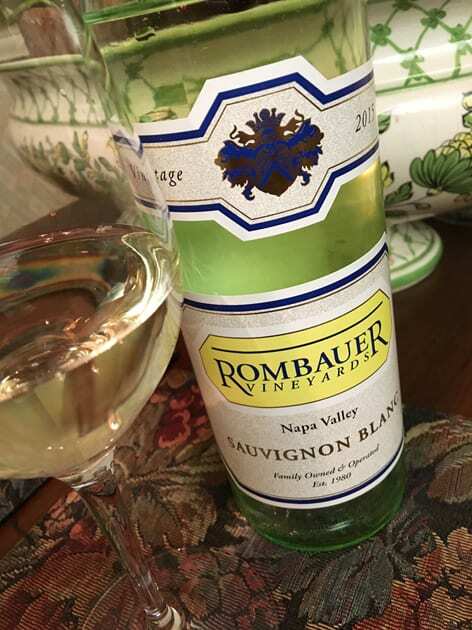 The Rombauer Sauvignon Blanc is the first new varietal introduced to the winery in 20 years, and it is the only other white varietal the winery has created in their 35 plus year history. The Sauvignon Blanc in its second year of production comes from vineyards in Napa Valley. The grapes are hand-picked, and whole-cluster pressed. Ninety percent of the juice is fermented in stainless steel while the remaining ten percent, ferments in neutral French Oak. After three months aging, the two are blended together. The wine has aromas of fresh banana and some notes of white flower. Although there are some citrus flavors, one also finds tropical flavors of pineapple and banana along with pear and stone fruit. The wine exhibits marvelous sweet flavors not typically associated with Sauvignon Blanc, which sets this Sauvignon Blanc apart, making an extraordinary wine from those typical of the varietal. 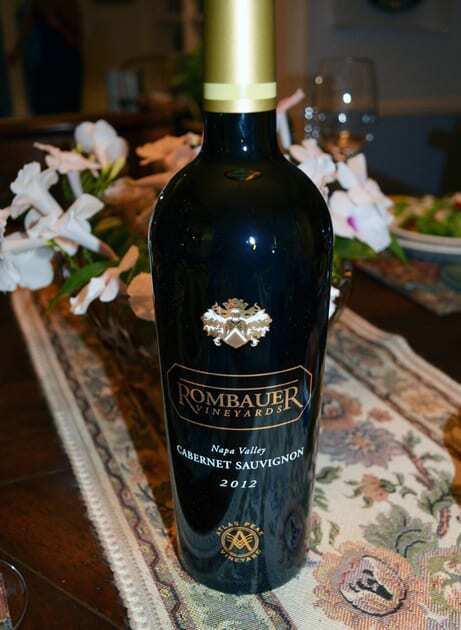 Although Cabernet Sauvignon was the first wine created when the winery was founded in 1980, sampling four different Cabernet Sauvignons today shows that Rombauer Vineyards goal of perfecting their red wine program is a success and is an elegant tribute to this varietal. The 2013 Napa Valley Cabernet Sauvignon combines Napa fruit from vineyards in Stags Leap District, Atlas Peak, Mount Veeder, St. Helena, Calistoga, Rutherford and Howell Mountain. The wine is aged 17 months in 70% new French Oak. With earthy aromas, the wine exudes flavors of black cherry and Cassis with hints of white pepper. The wine is soft and smooth with a touch of sweetness. Stice Lane Vineyard is located in St. Helena. The first vintage from this site was in 2004. The vineyard was a former riverbed, and gravel deposits characterize the soils. The 2012 Stice Lane Vineyard Cabernet Sauvignon represents a single vineyard wine produced explicitly from one particular block. This wine ages for 18 months in new French Oak. The wine has aromas of tobacco, leather, mocha and dark fruit. On the palate, one finds cherry, stewed fruit and plum. This full-bodied wine is velvety with complex textures and hints of vanilla on the finish. Finally finishing off with the 2012 Atlas Peak Vineyard Cabernet Sauvignon, the wine is also aged 18 months in new French Oak. Rombauer first produced a single vineyard wine from this area in 2003. The site is rugged and is above the fog line making the climate cooler than the valley floor. The soil is volcanic and rocky causing the vines to produce smaller berries. The wine has aromas and flavors of mocha, tobacco, and dark cherry with an underlying spice. 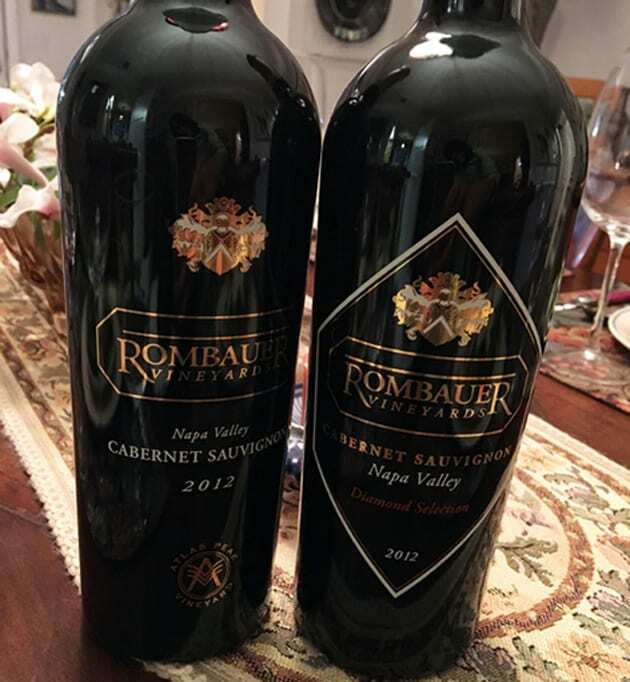 For most of us the “joy of wine is sharing with family and friends” and one will certainly enjoy sharing the Rombauer Vineyards wines especially the Cabernet Sauvignons as they speak specifically to the Rombauer’s family legacy and the traditions of Napa.